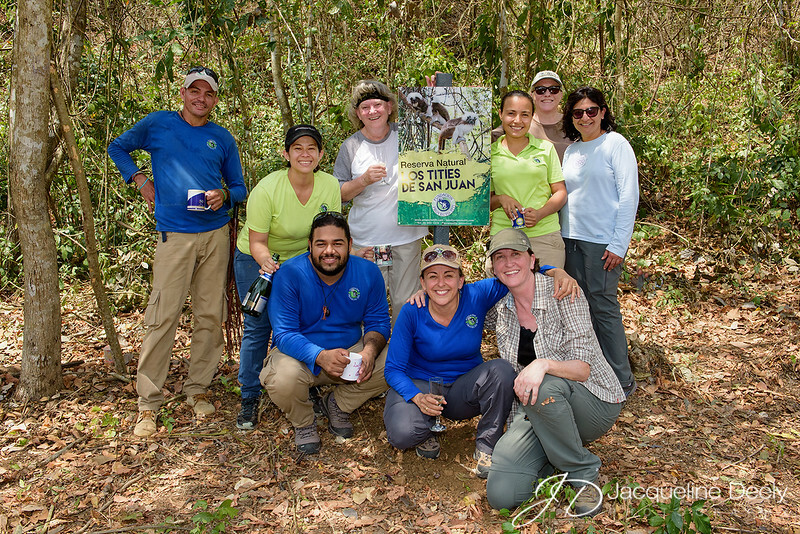 The Projecto Titi team with the first "TITÍ POST" and signage in their newly acquired reserve at San Juan. Recycling plastic in local communities leads to the creation of new, environmentally friendly businesses. Fence posts made from recycled plastic are used instead of wooden posts. These last longer and are more durable options for farmers.